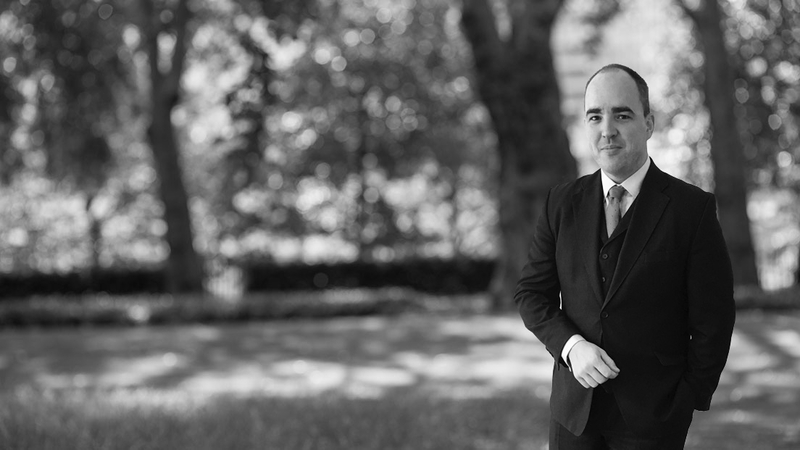 Barnaby has a range of experience in international asset recovery, POCA, financial crime, extradition and professional discipline law, particularly in healthcare, accountancy and sports law matters. He is regularly instructed in tax tribunal matters (in a POCA context) and civil recovery. Barnaby's international asset recovery and financial crime practice includes experience of dealing with corruption, money laundering and fraud offences which have an international angle and recovering the proceeds of these offences. He has experience of all areas of the Proceeds of Crime Act both domestically and Internationally. In addition to his busy practice, Barnaby writes the chapters on International Asset Recovery and Terrorism Finance for Millington and Sutherland Williams on POCA and recently completed a series of seminars and articles on changes to POCA under the Criminal Finance Act 2017. Barnaby also has a range of experience in professional discipline cases, particularly in healthcare and sports law matters. He has experience of the NMC, GDC, ACCA, ICAEW and GMC and experience of appearing in a number of leading Anti-Doping cases. Barnaby recently completed 16 months working in the Caribbean seconded to the CPS Proceeds of Crime Unit dealing with asset recovery matters of all types. He also has experience dealing with regulatory matters that have a proceeds of crime element and extradition matters. The Legal 500 recommends Barnaby, quoting: "He has extensive knowledge of the POCA field". "He appears on either side of confiscation proceedings". Extensions of moratorium periods, the affect on other matters and how the orders can be challenged. Account Freezing and Forfeiture Orders, the biggest change to come out of the Criminal Finance Act 2017. Serious Crime Act 2015 (‘Sca’), As Amending The Proceeds Of Crime Act 2002 (‘Poca’): The Untested Enforcement Provisions. Tax Evasion – As The Government ‘Cry Wolf’, Is It Anything More Than A Hollow Complaint? Confiscation Orders: Can They Live For Ever? There Has To Be An End, But Drawing The Line Will Be A Long Debated Issue. A Change Is Coming – The Criminal Finance Bill And The Changes It Will Bring To The Asset Recovery Landscape. Specialist Advocate Panel Counsel, Health & Safety Executive. His international asset recovery and financial crime practice includes experience of dealing with corruption, money laundering and fraud offences which have an international angle and recovering the proceeds of these offences. He has experience of all areas of the Proceeds of Crime Act both domestically and Internationally. He recently completed 16 months working in the Caribbean seconded to the CPS Proceeds of Crime Unit dealing with asset recovery matters of all types. He also has experience dealing with regulatory matters which have a proceeds of crime element. Confiscation and Forfeiture matters form a large part of Barnaby’s practice. He is regularly instructed in the full range of Confiscation and Forfeiture matters. These matters have ranged in size up to benefit figures of £6million. He has assisted in the recovery of money from overseas, and has a large amount of experience in other jurisdictions Proceeds of Crime Legislation. He is also experienced in contempt of court proceedings, section 11 applications, section 23 applications, and restraint orders. He also has experience dealing with Confiscation and Forfeiture matters in and insolvency context, and regularly appears for Insolvency Practitioners. Barnaby has also provided mentoring and training to Lawyers and Judges in other jurisdictions. He is happy to be instructed to provide training services on Asset Recovery, Financial Crime and Advocacy. As well as having knowledge of the practical aspects of international asset recovery and financial crime, he has experience of working with jurisdictions to enforce the law better. This experience was enhanced by his time on secondment with the CPS. In a domestic setting he has a particular interest in financial crime and has dealt with a number of Fraud and Money Laundering cases. He has experience in a variety of different types of financial crime, including benefit fraud and MTIC fraud. Barnaby has been selected to be on the Serious Fraud Office C panel and has gained further experience of high profile fraud through this appointment. Barnaby has developed particular expertise in cases involving the use of investigatory powers. He has prepared chambers seminar program on the Regulation of Investigatory Powers Act 2000 (“RIPA”), the Computer Misuse Act 1990 and the Data Protection Act 1998. He is able to advise on what powers different governmental organisations have and what methods private individuals are able to use. This is particularly topical with the rise of private investigators using intrusive, and mostly illegal, methods to gain information. Barnaby has a good working knowledge of the Bribery Act, and is able to advise on the criminal and regulatory aspects of the Act. He has written two articles for chambers newsletter on the subject. One provides an overview of the subject, while the other gives guidance on ways in which organisations can protect themselves from prosecution. Barnaby also has experience and knowledge of Deferred Prosecution Agreements. He has particular interest in how these will be used in connection with Bribery Act prosecutions. 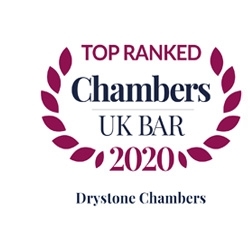 Barnaby has experience in regulatory work, and has written in Chambers Newsletter on Corporate Manslaughter and its relevance to health and safety regulation. He has a particular interest in the licensing of multi occupation houses, environmental regulation and trading standards matters. He is also able to advise on ways in which companies can comply with the Bribery Act 2010. Barnaby has extensive experience of professional discipline hearings in front of Healthcare regulators. He has acted in matters heard before the General Medical Council (GMC), the General Dental Council (GDC), and Nurse and Midwifery Council (NMC). Barnaby completed a 6 month secondment with the NMC. He represents both the regulators and registrants. He has extensive experience of substantive hearings, interim orders, substantive order reviews and all other form of regulatory hearings. Barnaby has dealt with a number of complicated legal issues, such as bias, abuse of process and half time applications. He has also dealt with vulnerable witnesses and a variety of expert witnesses. Please see the notable case section for more details. Barnaby sits on regulatory panels and is an elected member of the Bar Council. He sits on the Professional Practice Committee, which provides guidance on to barristers on the Bar Code of Conduct. Through his other regulatory work he has a wider range of experience in all aspects of professional disciplinary law. Barnaby has wide range of experience in sports disciplinary hearings and a particular interest in Anti-Doping work. Barnaby has advised athletes and clubs accused of breaching there governing bodies rules, and has provided training on Anti-Doping legislation to a variety of bodies. Barnaby’s experience in Anti-Doping was recognised by the Rugby Football Union when they appointed him onto their Anti-Doping judicial panel. Barnaby has also dealt with a number of cases in front of the National Anti-Doping panel. The cases have dealt with the full range of legal issues under the World Anti-Doping Code. Notable cases include UKADA v Offiah where he secured the maximum reduction in ban for tampering with the Doping Control Process. In UKADA v Six he dealt with a ‘Compelling Justification’ argument under article 2.3 of WADA code. Barnaby also provides training to professional sports clubs and athletes on the full range of sports law issues. Barnaby has a particular interest in death penalty work. He has worked for the death penalty charity Amicus as an investigator, researcher, and legal assistant In the Capital Defender’s office of North Carolina, working on fourteen death penalty murder trials, and one death row appeal. The issues involved in these cases included; various types of mental incapacity, DNA evidence, ballistics, jury selections, racial prejudices, and prosecutorial abuses. Barnaby continues to be involved in death row work in America and throughout the world. Before qualification Barnaby gained experience in different legal environments in order that he could approach life at the Bar as a more rounded practitioner. He spent a year working for the Treasury Solicitor exclusively on immigration judicial review cases, and latterly worked at the Insolvency Service within the Serious Non-Compliance team as a Case Examiner, investigating various tax frauds, including a number of carousel (MTIC) and contra-trading cases. Barnaby appeared in an on-going 30 days case where I am prosecuting the Director of Care of a Nursing home accused of vitiating the consent of a terminally ill child in her care. The case has attracted national attention. The case involved abuse of process arguments and bias applications which he successfully opposed. Barnaby successfully prosecuted a nurse for 8 counts of serious professional misconduct. During the hearing I successfully responded to a half time application and an abuse of process argument. The hearing lasted 12 days and my opponent was a 30 year call barrister who has now been sworn in as a High Court Judge in Guyana. Barnaby successfully prosecuted a nurse, over an 8 day hearing, which involved three vulnerable witnesses, and a mentally ill Registrant. Barnaby successfully prosecuted a school nurse accused of harming children. Case involved issues of admissibility of evidence and anonymous witness issues. Barnaby dealt successfully with a conviction case, where the nurse had been criminally prosecuted for child cruelty. Barnaby successfully prosecuted a Director of Care of a nursing home for dishonesty offences over a 5 day hearing. The Registrant was unrepresented. Barnaby is currently instructed to represent a rugby player accused of anti-doping rules violations. Barnaby represented a cyclist charged with failing to take his doping test. The legal argument was over the definition of article 2.6 of the Anti-Doping rules. He was successful in the argument and the ban was reduced substantially from 2 years. Barnaby represented a basketball player charged with tampering with a positive doping test. The defendant received the maximum discount for his admission of guilt. Furthermore his ban started two months before the hearing began. This was the lowest ban he could receive. His co-defendant received the maximum ban of two years effective immediately. Barnaby successfully defended in a multi handed s.18 GBH. Barnaby represented a defendant charged with producing cannabis. He was found with 80 cannabis plants in his house. He was sentenced to a suspended sentence order, with a single supervision requirement. Barnaby represented a defendant charged with Robbery. The defendant suffered from mental health difficulties and one of the witnesses required an intermediary. Barnaby represented Mr Bailey in his appeal against conviction for Robbery. He was acquitted after the Court of Appeal found that the Trial Judge’s Summing up had been severely flawed. Barnaby represented a defendant for possession of class A drugs with intent to supply. He managed to pursue the case in such a way that the defendant ended up with a two year prison sentence rather than the four year sentence which would be standard in a case with this amount of drugs. Barnaby prosecuted two defendants for ABH and possession of bladed articles. Both men were found guilty and are serving length sentences of imprisonment. Barnaby defended in this four handed Robbery. The defendant was charged with a series of Robberies across a month long period and was acquitted of the majority of the charges. Barnaby successfully prosecuted this £86,000.00. fraud. Mr Iqbal was working as a personal banker for Barclays Bank. He targeted a number of vulnerable customers and used his position to remove money from their accounts. Mr Iqbal was sentenced to 18 months imprisonment. Barnaby successfully prosecuted Mr John “Jack” Livesey who was charged with perverting the course of justice. Mr Livesey was found guilty after trial, and sentenced to three years imprisonment. Mr Livesey had presented references to Cambridge Crown Court, when he was being sentenced for £30,000 worth of benefit fraud, which stated falsely that he had served in the Parachute regiment for 25 years. He received a more lenient sentence because of this false military career. This was a high profile case reported by BBC News, the Sun, The Daily Mail, The Daily Telegraph and The Mirror. Barnaby defended a 3 week long five handed money laundering case. Dealt with complicated inter jurisdictional and financial issues. Barnaby was instructed to prosecute a Robbery where there were complicated issues of identification. Barnaby was instructed to defend an ABH. This involved cross examining the complainant who had learning difficulties and was assisted by an intermediary. The defendant was acquitted. Barnaby was instructed to represent a son who is charged with Robbery, False Imprisonment, and ABH. The charges were dropped on after a defence application on the day of trial. Barnaby successfully defended an 11 year old boy charged with shooting a Baby with a BB gun. Barnaby successfully defended a confiscation order, by using the case of R v Waya to persuade the court that an order was not proportional. Barnaby successfully prosecuted a contested confiscation hearing where the defendant had been part of international confidence fraud. Barnaby successfully defended who had been convicted of defrauding her employer. The court found a benefit figure which was a quarter of that submitted by the prosecution. The available mount was also suitable reduced. Barnaby successful represented a defendant at an application to extend the period of time she had to fulfil the order after she had failed to take any steps realise her assets. An extension of 3 months was granted. Barnaby was instructed in a matter where the defendant had realised all his assets, but the CPS were refusing to agree to a variation of the available amount. The amount was varied and the defendant was released. Barnaby was instructed in this matter where the Defendant had pleaded guilty to contempt of court after the Defendant had breached their restraint order. After Barnaby had mitigated on her behalf the Defendant received a suspended sentence rather than immediate imprisonment which is the normal sentence in cases such as this. Barnaby was instructed in a matter arising with from a £3,000,00.00 Drugs conspiracy. After lengthy preparations the defendant was found to have a benefit of a benefit of £30,000 and a nominal available amount. Barnaby was instructed in this confiscation hearing, which arose from a long running mortgage fraud. The case involved a range of issues including inter jurisdictional issues, and third party interests. Barnaby negotiated a favourable settlement to the Defendant. Barnaby was instructed as Junior Counsel to Rebecca Fairbairn during the confiscation proceedings in this matter which arose from a £12 million drugs conspiracy. This matter involved inter jurisdiction and hidden assets issues. Barnaby advised the appellant on appealing the Upper Tribunal’s decision on the basis that the First Tier Tribunal Judge was wrong in law. He advised that it was clear that the Upper Tribunal’s was wrong in law as Article 8 had not been considered. Once a skeleton argument was filed in the Court of Appeal, the government conceded the appeal. Barnaby successfully argued in front of the Upper Tier Tribunal that his applicant met the Tier 1 post study work visa criteria even though she only had one set of financial documents. Barnaby successfully appeared in this Tier 4 Student Visa case. Barnaby successfully appeared in this asylum matter where the issue was whether the appellant was at risk of return to Iran. Barnaby successfully advised a mother and child on appealing a decision from the Upper Tribunal, on the basis of Art 8 and section 55. Barnaby appeared in this matter where the issue was whether the SSHD had failed to take into account the Appellants child’s interests under s.55 and Art 3, when she rejected their application for indefinite leave to remain. The child was suffering from Leukaemia. Barnaby appeared in this Sri Lankan Asylum matter. This is one of 13 Sri Lankan Asylum matters he has appeared in. He is well versed in the relevant case law. Barnaby drafted summary grounds in defence of a claim by an overstayer to have Article 3 and 8 rights due to his time in the United Kingdom and his medical condition. The Claim was rejected by the Court. Barnaby appeared in this matter were the issue was whether the Appellant fit under the EEAA regulations. (Middleton) v Cambridge Magistrates’ Court  QBD Admin 3 July 2012. Barnaby appeared in this Judicial Review where the issue was the reasonableness of a Magistrates’ order for costs. Barnaby appeared in this matter where the issue was whether the Appellant would be at risk from persecution due to his Christian faith if he was returned to Pakistan. Barnaby drafted summary grounds in defence of a claim by an Appellant who claimed that the SSHD’s decision to remove her and her daughter was contrary to the best interest of her child contrary to section 55. The Claim was rejected by the Court. Barnaby represented a defendant charged with killing his dog through negligence. The defendant was found not guilty. Barnaby represented a Helicopter Pilot charged with Negligence. After a guilty plea he was sentenced to a conditional discharge. This was one of the first times a sentence of a conditional discharge has been passed for this type of matters. Barnaby successfully opposed a Crack House Closure Order being made against Mr and Mrs Wayne family house, on the basis that the order was not necessary as the households main user of Class A drugs was currently imprisoned. Barnaby successfully opposed a Crack House Closure Order being made against Mr and Mrs Lewis family house, on the basis that the crown failed to show that Class A drugs were being used in the house, and that there was any link between drug use in the house and any anti-social behaviour.